See our Registered Classes for ongoing series of workshop-type classes, and our Weekly Schedule to come out to classes any day of the week! See our cancellation policy here. In this workshop, you will be introduced to the healing experience of combined Restorative Yoga and Reiki. Reiki is an energy healing modality, in which the practitioner channels energy into the receiver by means of touch or no touch, to activate the natural healing processes of the body and restore physical and emotional well-being. 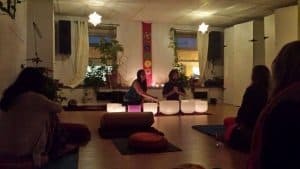 You will be guided through very gentle and supported yoga postures utilizing many comfy props, receive meditative guidance to deepen your experience of presence and self inquiry, while a Reiki practitioner carefully and intentionally offers you Reiki energy. Reiki energy is universal, abundant and available for everyone, we will simply create the space and intention to let this energy flow for the benefit of all. All levels experience are welcome. * We have a limit of 6 people per class to ensure the best experience for all! Rest, rejuvenate and restore. 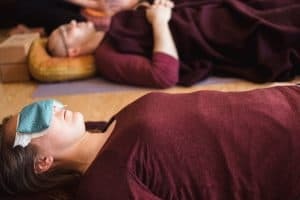 You will be guided into comfortable restorative postures cultivating a deep state of deep relaxation supported by bolsters, blankets and pillows. The placement and gentle massage with Hot Stones will warm the body and melt away your muscle tension and stress. You will experience a deeply nourishing sense of inner peace and will leave this class feeling calm and rested with your inner being completely nurtured. Join Tiina and Angella for a restorative style yoga class integrating a journey through the Chakras (energy centres in the physical/emotional/ energetic body), using aromatherapy essential oils to deepen and enhance the exploration. We carefully choose yoga postures and essential oils that correspond with each Chakra to carry you through a journey of self inquiry, deep rest, and healing. Essential oils have the potential to deepen your focus and enhance your awareness through the yoga experience, with the added benefit of the healing qualities of each aroma. No experience is needed, all are welcome, unless you have a sensitivity or allergy to essential oils. A beautiful and meditative sound experience. Rebecca will provide a sacred soundscape to help guide you into alignment and allow your inner light to shine. We have three events this Spring, each with either Crystal bowls or Gongs as the primary sound, both including other resonant instruments to enhance the journey. Come bathe in the sweet sounds of crystal singing bowls and many other lovely sound healing instruments. Rebecca will gently guide you into a relaxed and grounded state and then produce sweet sounds and song to carry you into a deep meditative experience. The gong is a multi-tonal and powerful instrument that can help you shift and transform in amazing ways! Join Rebecca with her collection of gongs for a visceral sound experience. Drop into a deep meditative state and allow the energy of sound to wash over you and through you as you release what no longer serves. Rebecca will open and close with other sweet sounds leaving you feeling refreshed and rejuvenated. Yoga Nidra is a state of consciousness. The word ‘Nidra’ refers to sleep with a trace of awareness, or conscious deep relaxation. Yoga Nidra is a therapeutic trance, much like hypnosis. It is as a state of consciousness, that occurs between waking consciousness and dreaming consciousness. To enter into the Nidra state, we utilize a skillful and systemic method of complete relaxation, that has the potential to restore balance through bringing us into the parasympathetic nervous system’s state of rest and digest. As well, it is in this state of deep rest, that we have the potential to affect change on a subconscious, or unconscious level. The practitioner simply rests in a comfortable and very supported position, listening to voice of the guide, and the journey unfolds. 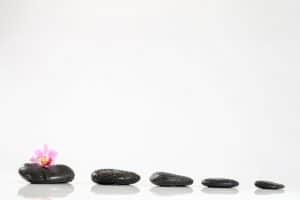 We approach the practice with the intention of deepening self inquiry, integrating life changes and insights, and using this method of skillful rest for stress reduction, and self care. Yoga Nidra has the potential to balance the over stimulation and pressure to perform and succeed in our fast paced culture, while supporting stress relief and over all health and well – being. The New Moon is a perfect time for Yoga Nidra. As the moon wanes and the light disappears, there is a natural draw towards stillness in our beings; the healing darkness. Just as we need rest in each daily cycle, when the sun sets, we also benefit from allowing our selves to rest and take refuge during the waning and new moon in the monthly cycle, in order to reset the nervous system and prepare for a new beginning. Yoga Nidra during the New Moon answers the deep inner call of taking rest and refuge, as well as creates space for intention to emerge as we begin again. Tiina has completed a Yoga Nidra Teacher Training, and is a certified Hypnotherapist, both practices that explore the power and potential of therapeutic trance states and relaxation for the health of your whole being. This workshop is a beautiful opportunity to wake up to some of the subtler aspects of how breathing can bring us into greater harmony with the universal heart. As we open to the subtler aspects of pranayama we find there is a great power to invigorate our body and mind with clarity and also to move towards and support fulfilling meditation. This class is designed as continuing education for yoga teachers as well as an opportunity to explore and deepen for those who may not be teachers but have an established practice. In this workshop we will breathe together, explore sequencing of breathing practices, and integrate bandhas (energy locks), as well as some basic asanas. Pranayama means both breath regulation but also prana energy expansion. This expansion happens as we come into deeper and more attentive inner listening. Sometimes if we are being too forceful with our pranayama we end up creating tension and never come to this great discovery of our infinite self. But by learning to breath with greater rest and ease, we can use pranayama as a gateway to our inner being. 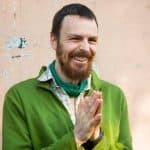 T his special class integrates the yogic practices of Kirtan, with meditation, movement, and relaxation. 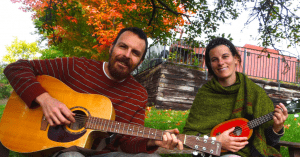 Join Fraser and Dana for this all levels practice set to live music, with plenty of opportunities to open up your voice, chant, move, and be inspired by yogic mantras and heart opening songs for healing and inspiration. This style of Yoga is inspired by Bhakti Yoga, the Yoga of the Heart. Space is limited so register now! Get back to the roots of yoga and discover the power of really tuning into the essence of foundational asanas. 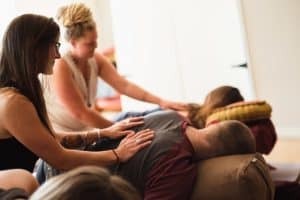 In this workshop you will have the option to receive adjustments that help to open prana, which brings vitality, relaxation of mind, and a sense of ease in the body. We will explore postures in a way that lovingly encourages us to extend beyond what we think our bodies can do into the magic of what happens when we truly trust the pose. In classical hatha, we stay in asanas for a good amount of time, which helps soothe the nervous system, open muscles and ligaments, balance energies, and relieve stress. All levels and bodies welcome. Different pose variations will be offered. This workshop will be hosted by Fraser and Dana, who have studied this practice extensively in India, and love it immensely. The are delighted to offer this beautiful practice as they have been taught.